Backyard Poultry Forum • View topic - What's up with my duck? 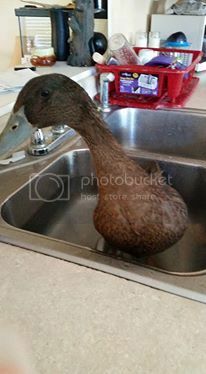 Post subject: What's up with my duck? I have a Khaki Campbell duck and I'm not sure if it is a male or female duck. This one is about 18 weeks old and hasn't laid any eggs (but is not being fed laying mash). I always thought that the duck was female because it is very chatty, quacks up a storm, and has a huge attitude all the time. But within this past week, "she" has developed a curl in her tail. I don't know if it's a drake feather or just a weirdly curled tail. I've never seen curly tails on female ducks, but I have never come across such a loud male duck either. This is a pic of Micah (Mee-kah). 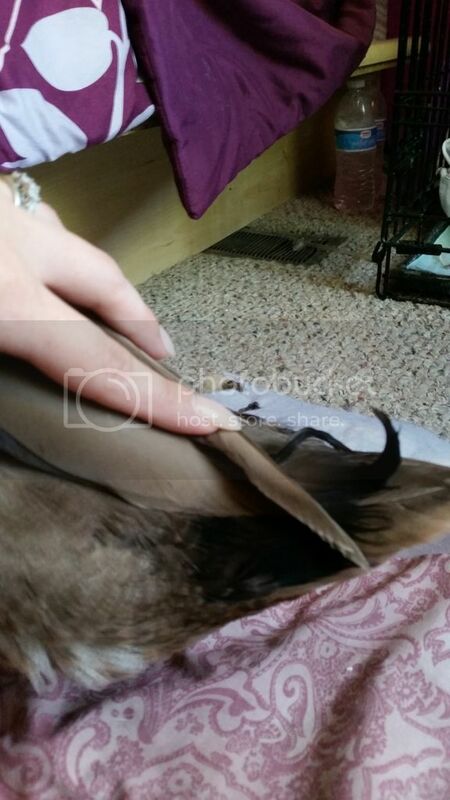 Post subject: Re: What's up with my duck? Dont count on getting eggs from Micah - you have a boy there. Still being so young you will find he will soon loose his loud voice and he will start having the more raspy sound of an adult male. Thank you so much for clarifying. This is so weird, Meek (Micah) is the most talkative male duck I have ever encountered. I guess he is just one of a kind. Yay, I have a drake! I wonder if the other week, he may have been trying to mount the cat rather than "bullying" him (the term I use for when female ducks bump with their chests).